More than a hundred people have reportedly died after a shipwreck off the Libyan coast one week ago, survivors told Médecins Sans Frontières/Doctors Without Borders (MSF) teams working in Libya. A group of 2761 people, among them survivors of the shipwreck, were brought from the sea to the port city of Khoms (120 km east of Tripoli) by the Libyan coast guard on Sunday 2 September. MSF has been providing urgent medical assistance following disembarkation. According to the information received by MSF staff, two rubber boats reportedly left the Libyan coast early in the morning on Saturday 1 September. Each boat was carrying more than 160 people of different nationalities such as Sudanese, Malians, Nigerians, Cameroonians, Ghanaians, Libyans, Algerians and Egyptians. “While the first boat had stopped due to an engine failure, our boat continued to navigate and began deflating around 1pm. We were 165 adults and 20 children on-board, explains a survivor of the shipwreck. At that time, the mobile sat phone showed that we were not far from Maltese coast. We called the Italian coastguard and sent our coordinates, asking for assistance as people started to fall in the water. We were told they would send someone. But the boat started sinking. We couldn’t swim and only a few people had life jackets. Those among us who could hold on the boat’s floating hood stayed alive. [European] Rescuers came later by air and threw life rafts but everybody was in the water; the boat had already sunk and capsized. Few hours later, other rescuers also came by air, throwing more life rafts. On our boat, only 55 people survived. Many people died, including families and children. They could have been saved if rescues had come earlier. More than twenty children have died, including two 17 months old twins who perished along with their mother and father. The Libyan coastguards also arrived, rescuing first the shipwreck survivors and recovering then the second boat. We were all brought here”. Only two bodies were recovered. 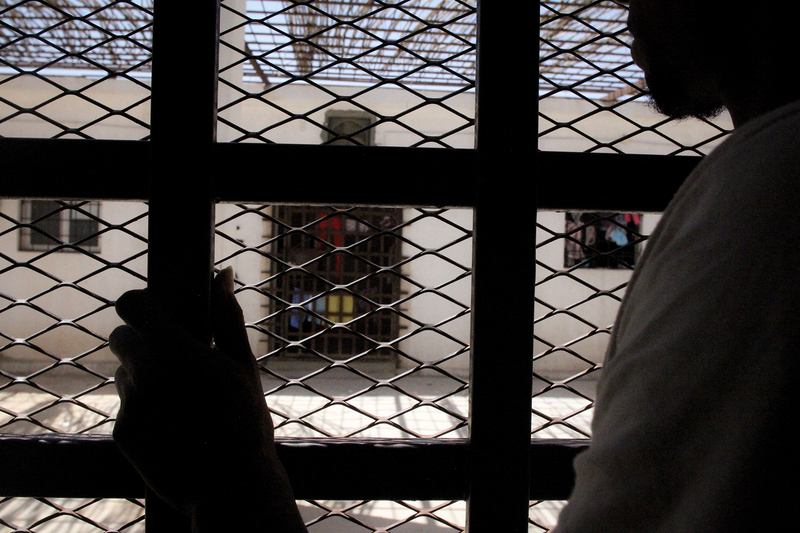 Upon disembarkation, the group was transferred to a detention centre under the control of the Libyan authorities. It is common for people returned to Libya from unseaworthy boats to be sent back into a harmful system of arbitrary detention. Between January to August 2018, the EU-supported Libyan Coast Guard already returned 13, 185 refugees and migrants to Libya2 . As part of its activities in detention centres in and around Khoms, our teams have provided further medical and follow-up care to the group while they remain in detention. Among the group are pregnant women, children and babies, and people with serious medical conditions and chemical burns. MSF teams have also organised six additional referrals to hospital. “We are extremely worried for our patients. How can they recover when locked inside cells, in very poor hygiene conditions, and sleeping on blankets or mattresses placed on the floor that cause incredible pain for those suffering from severe burns? Some of them cannot even sit or walk.” says Defransciscis. “We have started to see patients with severe chest infections like pneumonia, caused by being in the water for such a long time.” Inadequate access to clean drinking water and food is likely to delay or prevent people’s recovery and might instead exacerbate their medical conditions. Many of the survivors are mourning the loss of their relatives. On top of the dangers faced during the journey through Libya, they have experienced another very traumatic situation at sea. Instead of receiving the support they need, refugees and migrants are arrested and detained in deplorable living conditions, without basic safeguard, legal recourse or alternative. 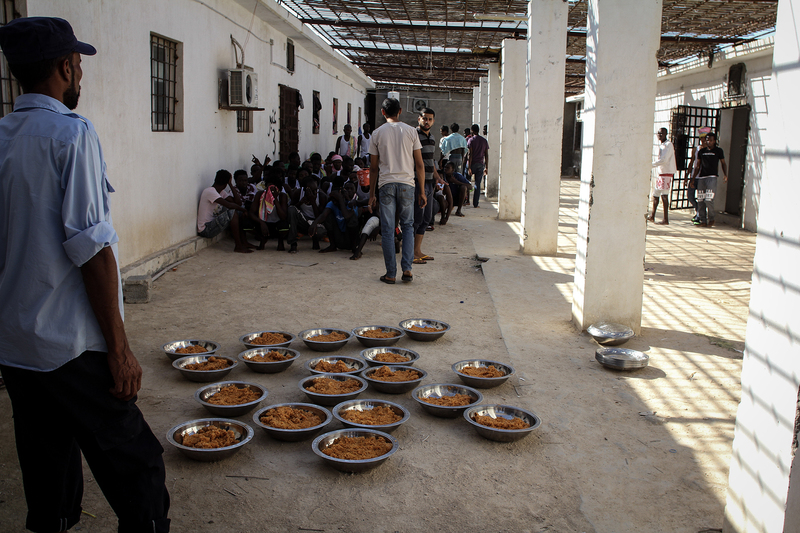 Among those detained, MSF has met asylum seekers and refugees who have been registered or recognised by UNHCR in Libya or another country. Their prospects appear particularly bleak: UNHCR- led mechanisms to evacuate them from Libya to Niger and resettle them in a third country, launched in 2017 in the aftermath of the global outrage sparked by CNN footage, have remained at a standstill for several months. Instead, asylum seekers and refugees face indefinite arbitrary detention and are at risk of being trafficked, as criminal networks are often the only option left for people to continue their journey in search of safety. Some people also told our teams that they had decided to leave Tripoli to escape the violent clashes and shelling that began on 26 August in the capital. UN Refugee Agency (UNHCR) and safe countries to rapidly organise the evacuation of refugees and asylum-seekers from Libya and expedite their resettlement. European States and Libyan authorities to stop intercepting people who flee by sea and returning them to Libya as a mean to prevent arrivals to Europe.